Mind-boggling. So many call takers! We operate call centers in several countries –wherever the work can be done most cheaply. 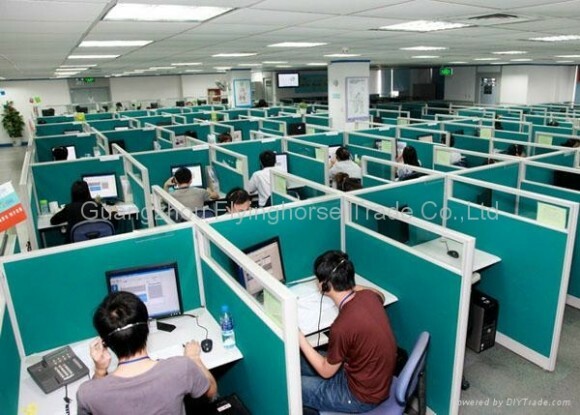 Right now The Philippines is considered the call center capital of the world. I deal with call centers often–too often. Overseas but set up by American corporations. I call always for a digital problem driving me nuts—something wrong with my computer, or an app, or my cell phone, or some gizmo. Always hoping they’ll solve it in a jiffy so that I can get right to work. about “customer service.” Rare that I need one of these, thank goodness. I find dealing with an overseas call center a mixed blessing. Good because I’ll probably have my problem fixed. Bad because of the hassle of waiting, waiting, waiting for somebody to finally pick up. I wonder, Where will I be shunted to this time? Mexico? Costa Rica? India? The Philippines? I’ve wound up at all of these. They’re most often in a third-world country like that. Countries where they know a center could do the job cheaper one incoming call after another. Because hired help over there get paid less. The corporations make sure their centers do a good job and train their call takers to a high standard. But that’s their bottom line: Save! Save! All while ignoring any clamor about American jobs being driven overseas! The favorite right now is The Philippines. So much so that it is hailing itself as “The Call Center of the World.” Call centers have sprung up beyond count in Manila. They employ thousands of call takers. The business they handle accounts for a big chunk of the country’s economy. And it’s growing. How come? English is one of the official languages. It’s taught in high schools and universities everywhere. And many Filipinos are familiar with the USA—we’ve had such an impact there. Filipinos are known as excellent workers. Many younger Filipinos get fascinated with computers, of course, so they have a good start for advanced training. But nothing is ever perfect. Prosperity is triggering serious inflation. If this keeps up, it’s not far-fetched that companies will close down their operations there in favor of a new one in Bangladesh, say. Don’t laugh. It’s the name of the game. Some country switches I believe are already be in the works. But wherever my call winds up, I know I’ll be dealing with a nice call taker, polite, competent. It may be a man or a woman. The industry is loaded with both. And they are all trained to put up with unhappy, frustrated, miserable, angry callers. To never, never lose their cool although they’d love to wring the neck of some callers. They will know their business. Their English will be impressive. As good as yours and mine sometimes. Their accent may take getting used to. But the same thing could happen if I wound up speaking to a native American in a call center in Idaho or Louisiana. And it’s always the other person who sounds funny, right? Never you or me! The biggest complainer I’m acquainted with is Paul. I hate to say so. By the way, that’s not his real name. I don’t want to embarrass or offend him. He will rant as follows. “I wound up with one of those friggin’ foreigners! No way could I fathom what the guy was sayin’. And I had to keep tryin’ and tryin’ to make him understand. He just couldn’t get it. For a minute I felt like hangin’ up. Just hangin’ up! Well, I have a different take on that. Bob would call me nuts, but I admire those workers in far-off call centers. They have a tough, tough job. Imagine a call center in The Philippines. I’ve seen a picture of one. It’s a vast room. Has 100 computer stations set up side-by-side, each separated by a partition. In each, a man or woman sits poised for action, fingers on the keyboard, headset firmly on. If a lull comes, how welcome! They are organized on three levels of service. Your call comes in to a man, say, on Level 1. He takes your info, sizes up your problem, notes your level of stress, says calming words if it’s high, and transfers you to a worker on Level 2–one who specializes in Macs, or PCs, or Wi-Fi problems, or whatever, as required. If you’re disgruntled about your service, you may appeal to one of these supervisors. Let’s take a look at a woman call-taker on Level 2. Most likely she will be working a night shift because of the time differential. It may be 7 PM where you are but 5 AM there. She may field 40 or 50 calls in her shift. One after another, with a break only for lunch or the bathroom. Finally getting home just as everybody else in her family is starting their day. She will do this workday after workday, month after month, yes with a brief vacation, but year after year. Here’s a tiny scenario of a day’s work. I’ve read up on it. A call will come in from a born-and-bred rancher in Texas. The next from a female teacher in Montana. Then a Mexican businessman in San Diego. A Chinese student at Yale. A farmer in West Virginia. A coed in South Carolina. A black accountant in Alabama. An offshore fisherman in Maine. A scientist in Chicago. And then a call from me, a transplant from Connecticut in central coast California . Is this scenario far-fetched? I don’t think so. I believe it’s typical. You should know I got the idea of writing this after an experience with a call center two days ago. Yes, in The Philippines. It took 42 minutes to solve my problem—after the waiting. A session longer than usual. I got a good man. I asked him his name. He said Gary (an assumed name, I’m sure; always an assumed American name). He worked earnestly. He was patient. Sympathetic. I liked him. At the end I asked to speak to a supervisor. And told Gary to listen in, please. And I told the supervisor—a woman– what a nice job Gary had done…how pleased I was to have gotten him. Why did I do that? Because Gary deserved it. Because it was only fair. As I said, I have great respect for those far-off workers. Would I want one of their plum jobs? No, sir. I must mention this. Some big-name companies are bringing their overseas operations back to the U.S. The operational costs will be higher here. But the goodwill will be greater. In the long run, that’s more important. You can be sure some that if you get directed to a center in Idaho or Louisiana, for example, some call takers will still be talking funny. But they’ll think you are the one with the awful accent, of course.